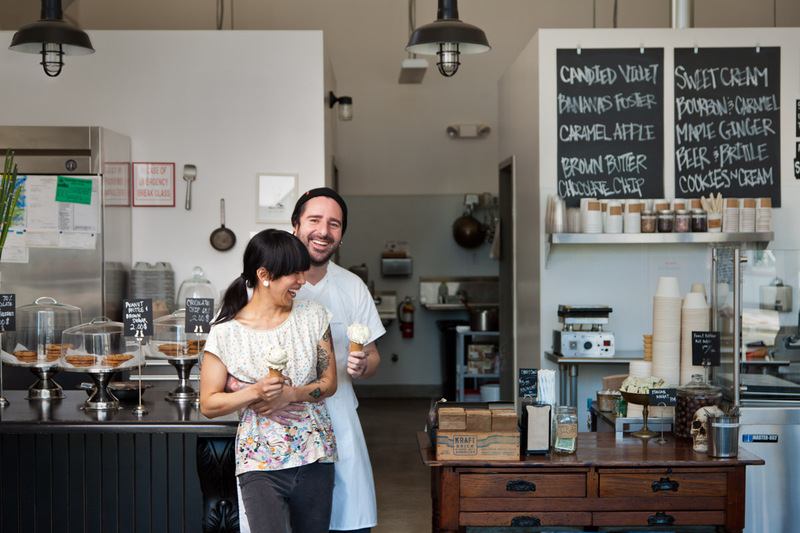 Annabelle Topacio and Ian Flores curate fine ice creams at their Charming Dogpatch ice cream parlor., Mr. & Mrs. Miscellaneous. Edgy metal furniture, futuristic sculptures, marionettes, delicate jewelry — it’s not a museum but the walk to our studio through the showroom and shop floor of ShopFloor design — the location of SRK Headshot Day as well as a community of makers and artists and local neighborhood favorite– Harmonic — a craft beer taproom. Our San Francisco studio is located in the Dogpatch neighborhood of San Francisco — one of the hottest neighborhoods in San Francisco according to a recent poll conducted by Curbed SF. We are also fortunate enough to live in the neighborhood. 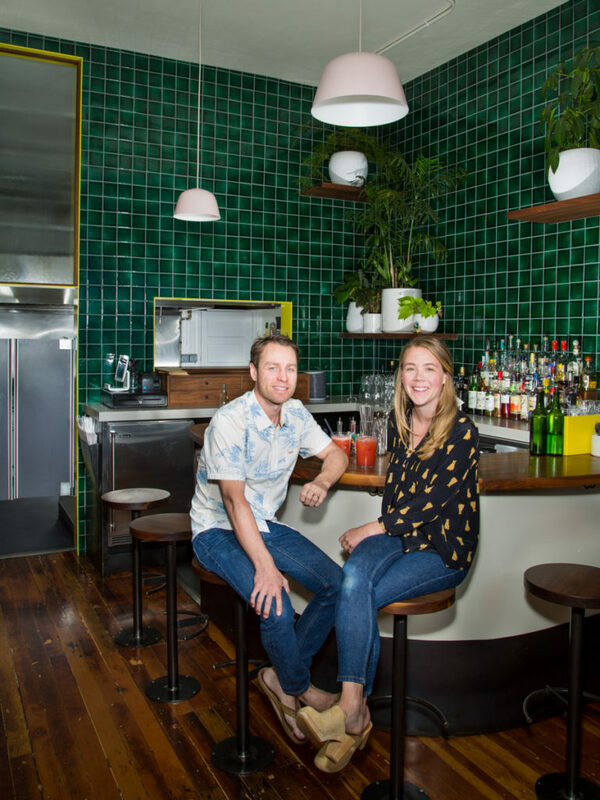 Check out our indogpatch blog featuring some of the amazing artists and merchants that live and work in this neighborhood. Dogpatch still has its industrial roots which is particularly evident in our area of Dogpatch. Our multi-colored SRK Headshot Day sign out front let’s you know you are in the right spot. This part of Dogpatch still has plentiful parking so park anywhere around our building. After your SRK Headshot Day photo session, take time to explore the neighborhood. Fabulous lunch or dinner spots abound as well as museums and retail shops to explore. Of course you could always just head downstairs to Harmonic to check out their wide selection of craft beers to end your day and celebrate a fun and successful photo session. Glena’s Restaurant owners Mike Gaines and Stephanie Gaines. Need a Coffee and maybe a croissant? Piccino – Lunch and Dinner, great small plates. 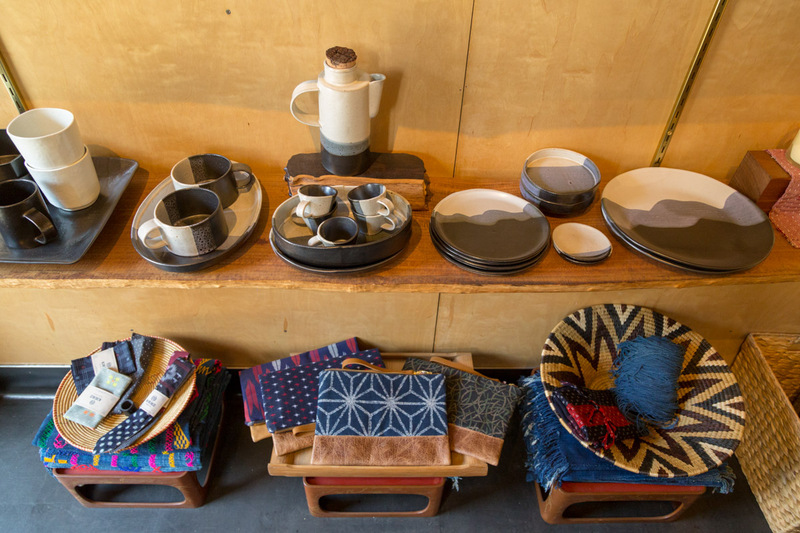 Products at the Dogpatch shop called Hugomento.